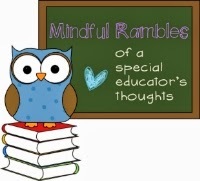 Tech Teacher Tidbits: Sunshine and Springtime! 1. I've been married for 23 years. 2. I have two dogs: a shih-toodle and a dachshund mix. The dachshund is deaf. 3. I will be a first time mother-of-the-bride this August...yikes! 4. I've been teaching for 24 years. 5. Photography is a hobby that I really enjoy. 6. I LOVE using technology in my teaching. 7. I have three fantastic grown-up children. 8. I have guinea pigs as classroom pets. 9. I am also in the liquor business. 10. I've been to wine country twice. 11. I'm going to ISTE in Atlanta, GA! 1. What is your favorite holiday? By far, it is Thanksgiving. I love having the entire family over without the pressure of gift-giving. It's simple family time. That's all there is to it and it's the best! 2. If you were to name your blog something else, what would it be?This is a great question, one that I wish I had given more thought when I named my blog originally. You can't tell from my new blog design but I am a huge Grease fan. It's my all-time favorite movie. 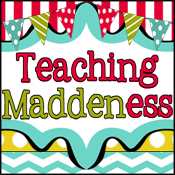 So my original blog design with all 50's clip art was called Hopelessly Devoted to Teaching. 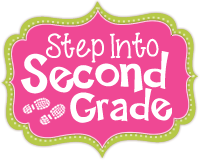 It was created by Kristen from Ladybug's Teacher Files and I loved it! 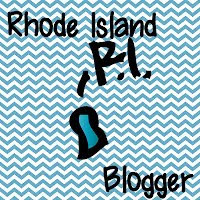 After a couple of years, I was ready for a change but because my blog name was specific to a theme, a new design would never match. For fear of losing my followers, I simply shortened the name by title but kept the original URL. The short answer to this question is...ANY other name that is not specific to a theme or grade level. Newbie bloggers please take notice! 3. What is your dream “retirement job?” I'm not really sure but definitely something in a quiet setting. 4. What is your biggest pet-peeve? The word 'stupid' - I hate it with a passion! 5. Name the book that changed you. There are many professional books that changed my teaching. To name a few, there's The Morning Meeting book, Daily 5 & CAFE, Math Stations. 6. What is the best concert you have been to? Luke Bryan!!! 8. Are you are rule-follower or rule-breaker? A rule-follower - boring, boring, boring! 10. What was the last movie or musical you went to? Wicked - it was fabulous! 11. What was your most prized possession when you were the same age as the students you teach? A stuffed kitten that got me through some pretty tough times. Just click on any of the images above to check out there blogs! 1. Do you have classroom pets? 2. Where is the most exciting place you've been? 4. What is your favorite reading genre? 5. What is your favorite professional read? 6. What is your must-go conference? 7. Do you like cooking or cleaning better? 8. Are you a warm weather or cold weather person? 9. What is your biggest pet-peeve? 10. What is the scariest thing you've ever done? 11. What are you most looking forward to? 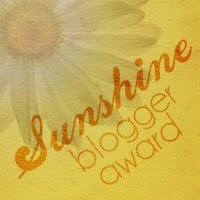 Thank you to CaseyJane for the nomination and for getting me back on my blog. It's been too long! Take care, Everyone!